Join us December 3, 2016, for our third annual Fostering Leadership Conference, where we offer esteemed outdoor community speakers and interactive sessions to enhance your leadership and personal growth. We're thrilled to offer our third annual Fostering Leadership Conference on December 3, 2016. 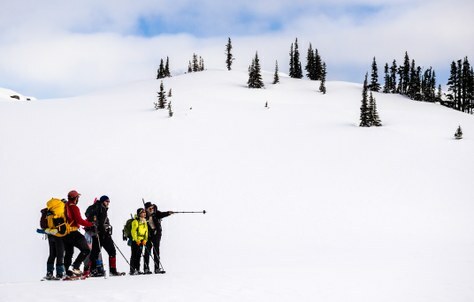 Each year, we create a special day reserved for current and aspiring leaders to foster new ideas and skills to support what The Mountaineers have been best at for more than 100 years: Leadership Development. We'll welcome esteemed outdoor community speakers and host interactive sessions designed to enhance your leadership and personal growth. 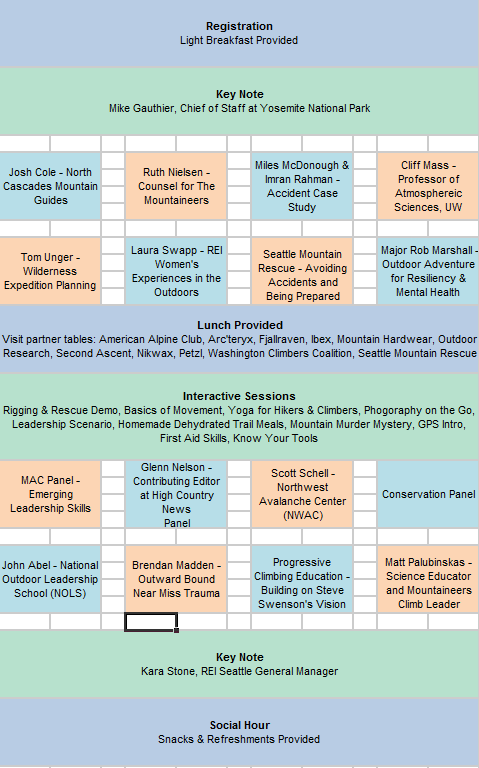 Our presentation topics include outdoor leadership concepts, risk management, predicting weather, current trends affecting outdoor recreation, case studies, and many more. *Schedule 80% confirmed and subject to change. The ticket price is heavily subsidized by your dues and donations, and includes a welcome gift-bag, light breakfast, lunch, and post-event refreshments and snacks with your fellow leaders.